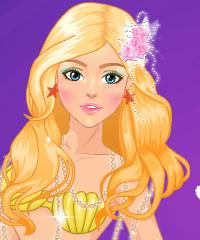 This is a vera mysterious and beautiful mermaid. You can dress her up and do her hair the way you want. Do you believe that mermaids exist?